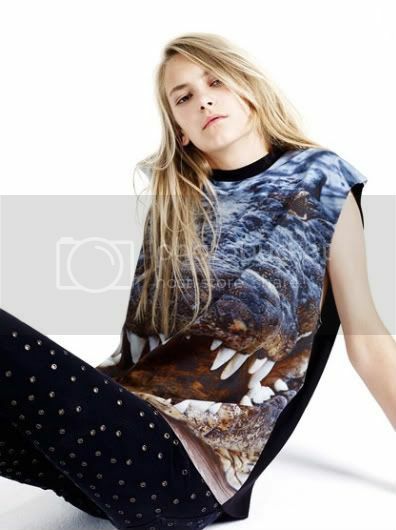 Christopher Kane's for topshop collection is going to be available this September. Of course my initial reaction was DOTFFATM (dies on the floor foaming at the mouth). 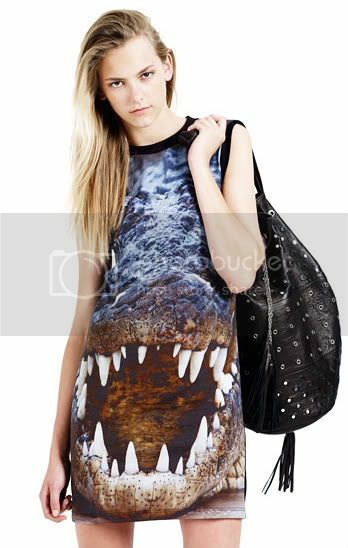 I can't choose between the crocodile print dress (priced at about $120) or the crocodile print t-shirt (priced at about $90). The ultimate conundrum, or should I just buy both? Safe to say the rest of the collection is just as brilliant. No word on the exact date of the release, but I have my eyes open, claws out, and cash ready.